Ensys provide a fast, friendly and efficient service to all its customers. Cost efficiency and a safe productive working environment are vital to the success of any company. 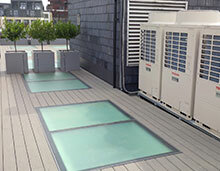 Ensys design, install and service air conditioning, cooling, heating and ventilation systems in hotels throughout the UK, from repairs and upgrades to design, selection and project management. 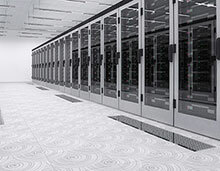 Ensys Ltd provide specialist services for computer rooms and server rooms. The smooth running of almost every business is dependent on the efficiency of its IT and communications systems. 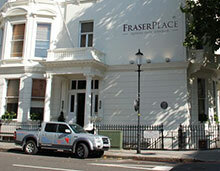 Ensys air conditioning and heating installations are designed in-house and installed to the highest standards. Air Conditioning: Berkshire & Surrey plus now Cheshire, UK. Ensys Ltd, UK based in Berkshire and Surrey plus now Warrington Cheshire are air conditioning installation & service engineers. Ensys carry out design, installation and maintenance of air conditioning, cooling, heating & ventilation systems in offices, hotels & apartments, shops, factories, computer rooms, server rooms and also telecoms sites. 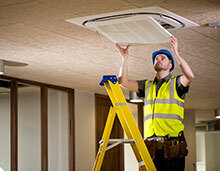 Ensys Ltd design and install air conditioning and heating systems to suit your premises. Ensys promise that every air conditioning and heating system that they install will provide you with excellent energy consumption, reliability, flexibility and comfort. A well designed ventilation and air conditioning system can make a huge difference to the environment experienced by staff, customers and equipment. Since inception, Ensys have earned a reputation for quality of service in every aspect of the business. You will receive the very highest of standards and we take great pride in the quality of our professional after sales service program. 92% of Ensys customers return, something we’re proud of and work very hard to achieve. In partnership with the world’s air conditioning manufacturers, Ensys provides systems to control temperature, humidity, air quality and purity. Ensys have a team of highly qualified design engineers based from offices in Thatcham Berkshire, Woking Surrey, and now Warrington Cheshire, all of whom have extensive experience in all aspects of air conditioning installation, construction and building services. Ensys offer a total solution for your air conditioning and heating requirements from the initial free site survey right the way through to the project completion, handover and beyond. Warranty periods of up to 5 years including parts and labour are also offered on most systems supplied, installed and serviced by Ensys Ltd. This can also be extended to 7 years on certain products, giving customers total peace of mind. Ensys Ltd were recommended by the UK’s no. 1 Air Conditioning Unit manufacturer Airedale, for a specialist project in The Gambia. 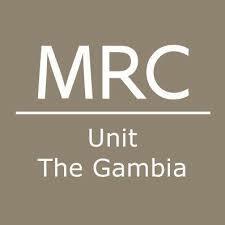 5 Airedale TCU15D systems were installed within a mobile data centre and shipped off to the Medical Research Council’s Gambian Clinic which provides innovative, world-leading research. Ensys were selected by the main contractor Mavin to complete the installation and commission of these 5 High Capacity cooling systems during a 2-week trip to the West African country.